In New Jersey, there are particular laws which regulate the relations between Landlords and Tenants, especially pertaining to residential properties. Disputes often arise, be they because of a failure to pay rent, damage caused to the property, or a landlord simply wanting to remove a tenant for personal reasons. 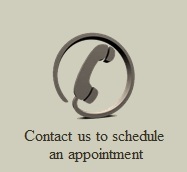 We at Woodland, McCoy & Shinn, LLC have extensive experience handling such matters, both from the landlord and from the tenant side, and can provide invaluable assistance throughout a landlord/tenant dispute process.